Imagine being able to enjoy younger, more vibrant looking skin without having to endure painful laser treatments or suffer through several days of downtime due to harsh chemical peels. Now, thanks to Dermapen advanced skin needling innovations, you can. Dermapen, also known as the "vampire facial' is an alternative to laser skin treatments. After applying a prescription-strength topical numbing solution to the face, tiny holes are gently poked into the epidermis and dermis of the skin. These micro-injuries encourage the body to naturally heal itself via new epidermal growth, fibroblast chemo-taxis, fibroblast proliferation, and matrix production. Growth hormones from the body's tissue release to promote healing and the production of collagen and elastin. 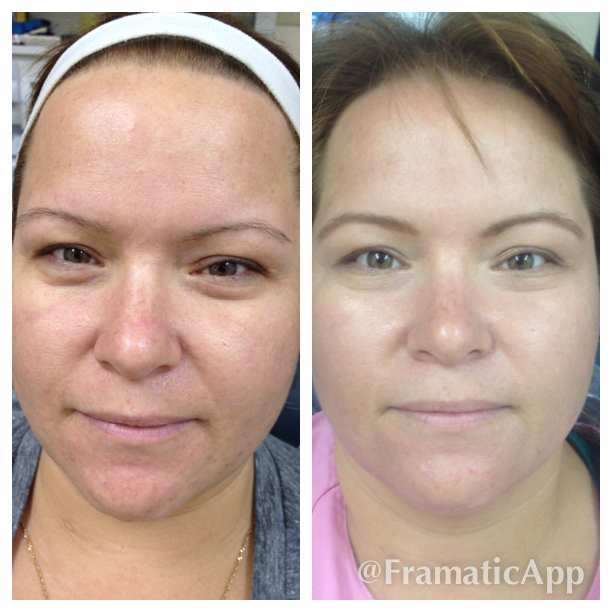 The end result: skin is younger, tighter, and free of scars and discoloration. Studies have shown that Dermapen produces fewer side effects than laser treatments, including pain, postinflammatory hypopigmentation and hyperpigmentation, persistent erythema (facial flushing), and infections. Unlike laser treatments, Dermapen is suitable for all skin types. To learn more about Dermapen and to schedule a consultation at our St. Petersburg office, call 727-528-3808. The face is divided into five areas: each cheek, the nose, forehead, and the chin. A special solution or the patient’s own platelet-rich plasma (PRP) spread onto each area before the Dermapen device is gently rubbed in a circular motion across the area, outside to inside. These tiny needles gently puncture the skin, allowing the solution to be absorbed with minimal epidermal damage and pain, thanks to a topical numbing solution. The process is repeating on remaining sections of the face. After treatment, a cooling mask is applied to calm the skin. *All Dermapen treatments are performed by a Registered Nurse and Certified Dermapen Provider.